A young man looking for a job cutting down trees approached a foreman for work. “Let’s see you fell this tree,” he said. The young man did so with ease and precision. He was hired and began working immediately. But after just four days, the foreman summoned him to the office, handed him a paycheck and dismissed him, saying that although the youth had started strong, his work had declined as the week had progressed. This story can teach us a lesson about Advent and about life. How much time does it take to sharpen an ax? Fifteen or twenty minutes is a good estimate. A little bit of time put into something essential could have made the difference. The first part of Advent, which begins today, invites us to reflect on our vigilance as we await the return of the Lord. Later in this season, our focus will shift to being ready to celebrate his birth. The spirit of vigil lifts us up in hope. This hope is reflected in the first reading from the prophet Jeremiah. The prophecy speaks of a time when a shoot shall sprout from the line of David, a just offspring. He will usher in a time of safety and security. The people will then acclaim, “The Lord our justice.” That hope is realized in Jesus Christ. He is the one who protects and sustains us in life. His triumph over sin and death is permanent, and so is the hope he offers. Yet we realize that we live in a world where there are all kinds of trials, tribulations and suffering. There are also the lures of the world, which are sometimes are very attractive but can lead us away from Christ. Jesus realized these situations and saw them in his own day. Today, he uses apocalyptic language to remind us that one day he will return and bring his victory to completion. On that day the faithful, those who are prepared, should “stand erect and raise your heads because your redemption is at hand.” Jesus then goes on to speak of vigilance. The vigilance of life is one that involves expectation, preparation and hope. Expectation is so often experienced this time of the year as people prepare for Christmas. As Christian,s we all want to have the best celebration possible of the Lord’s nativity. We want to acclaim and proclaim his birth as the dawn of salvation. Yet we also live in expectation of his return. This expectation is one that inspires and motivates us to live good lives. Preparation is another aspect of vigil. Once again, we can see an example from the celebrations surrounding Christmas. So much time is spent during Advent to prepare for Christmas. Shopping for gifts, attending parties and dinners, writing cards, singing carols, and other activities take up so much of our free time during December. These all go into helping get ready to celebrate Christmas. Advent affords us the time to use that same type of zeal, energy and joy to prepare for the Lord’s coming. Our preparation for this involves making good decisions by choosing good and avoiding evil, loving others as Christ loved us, forgiving others as we have been forgiven, caring for the poor and needy, and worshiping the Lord in word and deed. This does not happen just during Advent, but the season affords us the time to focus on this aspect of Christian discipleship – being prepared. Hope is so much needed in our world, where we are constantly bombarded with the negative aspects of human life. Reading the news or watching it on television shows us the brokenness of the world. Cynicism (which presumes the truly good does not exist, and that people are motivated only by self-interest) and skepticism (which holds that truth does not exist) work to crush our hope. As Christians, we have been invited to live in this same world, but to do so with joyful hope. Vigilance for the Lord’s return – faith in his promise – fills us with that hope. We recognize something greater than this world. Jesus promises us to return and to create a new heaven and a new earth. He will eliminate evil, and all that remains will be love. The day will come. Advent helps us to wait for it in hope. If we put in a little time each day to focus on our awareness, our preparation and our hope for the Lord’s coming, the results will be great — not only for Advent, but for life. Msgr. 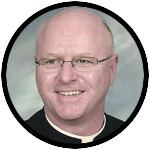 Joseph Prior is pastor of Our Lady of Grace Parish, Penndel, and a former professor of Sacred Scripture and rector of St. Charles Borromeo Seminary.